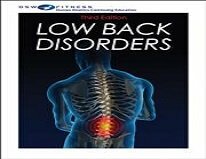 Low Back Disorders Third Edition Online CPD Course guides learners through assessment and treatment of low back pain, providing evidence-based research on the best methods of rehabilitation and prevention of future injury. This course contains all of the essential tools for those who work with clients and patients who have low back maladies. This course—based on the third edition of Low Back Disorders by internationally recognized low back specialist Stuart McGill—presents the research and applications of back anatomy and biomechanics to build effective prevention and rehabilitation programs for patients or clients. The study guide contains a course syllabus, chapter objectives, and end-of-chapter learning activities to prepare learners for the continuing education exam at the conclusion of the course. The final exam consists of 50 multiple-choice and true-or-false questions that address concepts throughout the course materials. 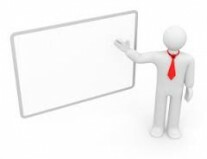 Upon passing the exam, individuals may print out and submit a certificate for continuing education credits.